So you’ve decided you want to learn how to start a vegetable garden from scratch! Congratulations! If you’ve never been much of a gardener, haven’t had the time, or simply want to try something new, you’ve come to the right place. 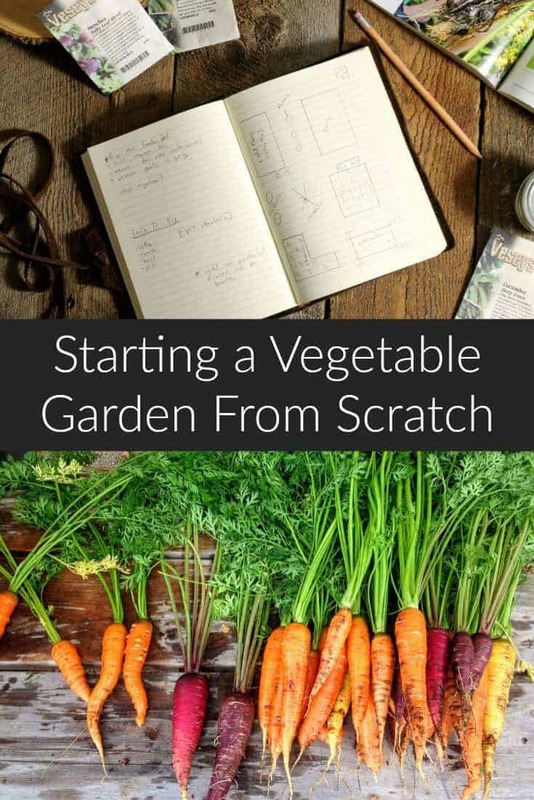 Starting your first vegetable garden from scratch can be an intimidating prospect, and I’m hoping that this article will troubleshoot your gardening questions, and help you become a backyard gardener! Remember gardening should be something you do for fun, not because you have to! As a professionally trained cook, I had many questions when I first wanted to start my own vegetable garden, and you probably do too. Questions about planning your garden such as: What are the best vegetables to grow? 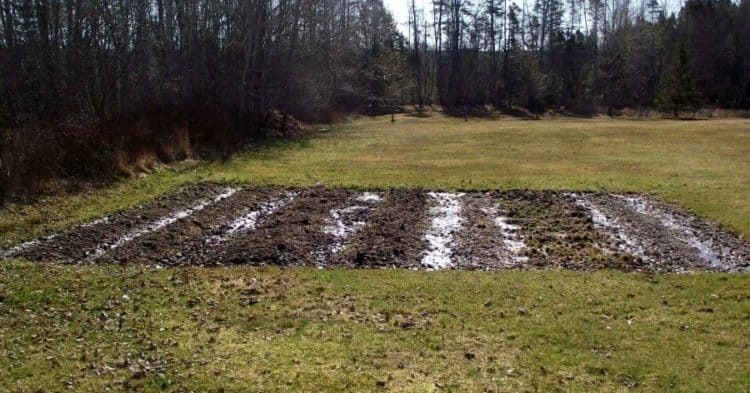 Where and how do I prepare the ground for my new garden? What kind of vegetable garden is best for my location? Will gardening be a lot of work? How much will this new hobby cost me? I will try to answer most of these questions in this post but many of the topics will be covered in more detail in other posts. So I encourage you to explore the blog and do a little research once your finished reading this. If you’ve never tended to a vegetable garden, it’s a good idea to do some research (which is hopefully why you’ve landed here!) and understand some gardening basics. You should know from the get go, that you won’t be able to grow every single vegetable in your garden, especially in the first year, and that creating a productive garden takes time, experience, and a little bit of luck. Pick up a few books at the library and do some research, it’s never a bad idea to have some gardening guides you can browse at night or even take outside with you! Two favorite books which helped me learn how to start a vegetable garden from scratch are ‘Back to Basics’ by Abigail R. Gehring and ‘The Year Round Vegetable Gardener’ by Nikki Jabbour. Which Hardiness Zone Are You In? Depending on your location, some plants and vegetables are simply not suitable and not worth the effort. Most plants, vegetables, and even herbs will have a gardening zone attributed to them. These zones are broken down into a number and lettering system from ranging from ‘zone 1‘ to ‘zone 12‘, with each zone being broken down into two letter categories, ‘a‘ and ‘b‘ . An example would be: Hardiness Zone 5a which has a USDA temperature range from -28.9C (-20F) to -26.1C(15F). These hardiness zones are essentially a guide for the minimum temperature range the given area will receive during the year. Plants are considered ‘hardy to a zone’ if they will survive in this temperature range. It’s important to find out which gardening zone you are in so that you can pick appropriate plants which will do well in your garden. 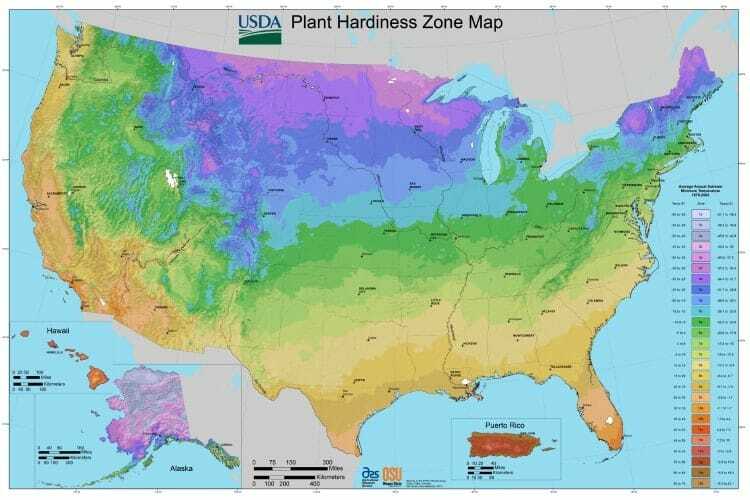 You can find out which hardiness zone you are in by using these maps if you are located in Canada, or finding your USDA Zone by Zip Code if you are located in the United States. Depending on if you live in the country, the suburbs, or even an apartment in the city, it is important to be reasonable about your gardening expectations. If you live in an apartment, planning out a traditional plot vegetable garden in your parking lot or local park may not be possible (or legally allowed), and container gardening on your balcony may be a better option. Alternatively if you have a yard with some space, you should map out and decide how much lawn space you want to devout to your new hobby and observe the spot to see how much sunlight it gets in a day. You should also ask your self what your purpose of starting a vegetable garden from scratch is. Are you simply planning on growing some herbs for your kitchen? Do you want to grow basic vegetables to help save on groceries? Do you want to become self sufficient and start a full blown homesteading garden. How much time and money are you willing to invest in your new garden? Each of these questions and answers will help shape the type of garden you plan out. 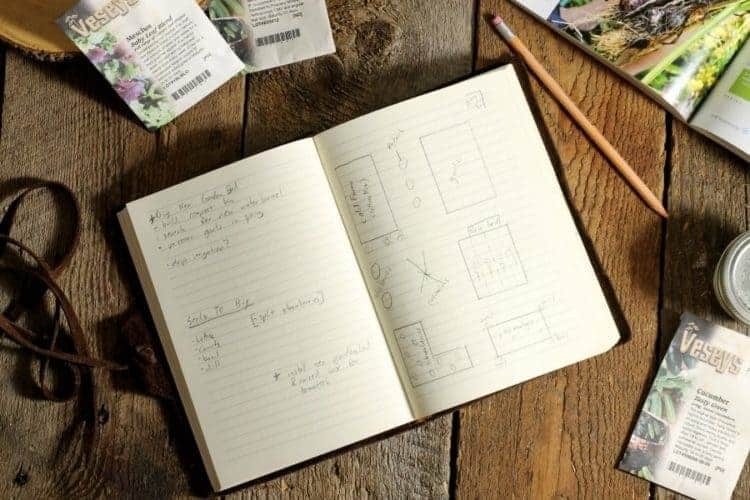 Write down some notes, even make a drawing of what you would like your garden plots to look like. Once you’ve learned which hardiness zone you need to plan for, and what the purpose of your garden is, you can decide which types of fruits, vegetables, and seeds you want to grow. In your first year of gardening, I highly recommend to keep it simple. Very simple in fact. Pick two or three kinds which you know you can easily grow based on your location and garden space available. To many first time gardeners try to simply do to much in the first year, and then become over whelmed and lose interest. All of these are relatively easy to grow for a beginner gardener, and don’t require a lot of work. That being said, you still need to know what is required to grow each of the plants you choose! It’s also best to decide know if you want to start your plants from seed, or if you will purchase seedlings from a nursery. Choose varieties that are disease resistant and ideally have a short growing span for best results and a quick harvest. Starting your plants from seed has the benefit that you can decide exactly which variety of plant you want to grow, pick specific organic or heirloom varieties from seed catalogs, or even new interesting hybrid plants. Starting from seed can also save you considerable amounts of money in the long run. Seeds are considerably cheaper to buy then seedlings. The down side is, that starting vegetables from seed does take a little bit more effort, and planning. Purchasing vegetable seedlings from a nursery has the advantage that they are essentially ready to transplant directly into the garden. You can pick from tried and true varieties that will most likely do well in your area, and most of the ‘hard work’ of starting seeds has been done for you. Purchasing seedlings will cost a little more, so it’s important to factor this into your planning. Once you have figured out what you are going to plant and where, it’s time to get down and dirty and prepare your vegetable plot! Follow the plan you outlined above and pick a location for your garden. Armed with the information you collected above, and a good idea of what you plan to grow and how big you want your garden to be, pick a suitable location for your vegetable garden. You’ll want to pick a sunny location yet one that is somewhat sheltered from the wind. Keep an eye on the spot for a few weeks to see how the wind and sun affect it. A very windy location may not be best, or you’ll need to construct a wind break of some sort such as a hedge or fence. Keep in mind that the sun moves with the seasons, and your location may receive more sun during a particular season then others. Watch for very large trees or buildings that may obstruct sunlight. A traditional garden plot is usually 4 feet wide (and as long as you want to make it), 4ft x 6ft is a good starting size! This makes it easy to reach across the bed to weed, and do other chores without having to step on the soil. Individual raised garden beds are gaining in popularity as they reduce the amount of bending down, and also have the benefit of reducing pests, and being easier to prepare. No tilling, removing rocks and roots required! Pick a location that is easily accessible, you don’t want to have to trek to your garden each time you need some herbs or lettuce! If possible take a soil sample to find out if your soil is very acidic, alkaline, clay like etc. It’s much easier to work with what you have then find out your soil is less then ideal and needs a lot of work to make it suitable for a garden. If all else fails simply build a raised garden bed and fill the raised bed with gardening soil and compost, no digging or tilling required! 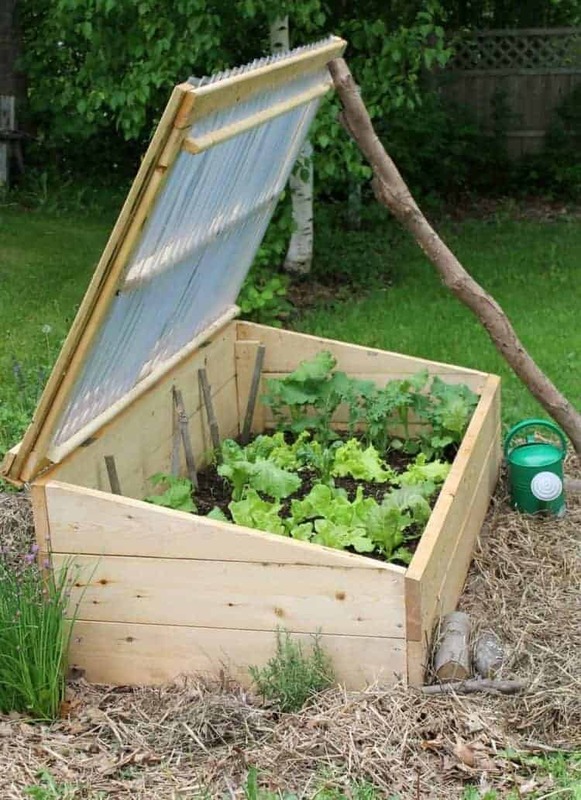 Cold frame gardening is another style of gardening which employs a raised box style bed, creating a mini greenhouse in which cold hardy plants can be grown in colder temperatures. Till the vegetable plot by hand or using an electric tiller. Tillers can be rented at most big box hardware stores by the hour, though if you plan on being frugal, don’t be afraid to dig your garden by hand! Be prepared for some hard work though!! You’ll need to dig down at least 12 inches and remove all rocks, roots, and other foreign objects you might find! 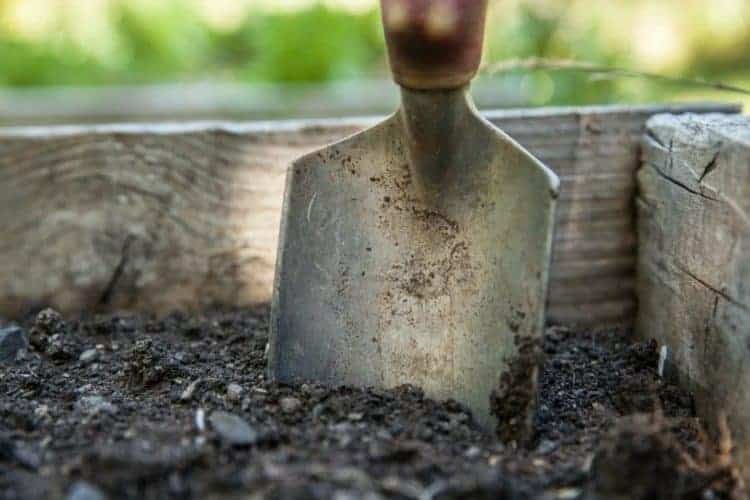 All this digging is best done in the spring before the growing season starts or in the fall the year before you plan on starting. Remember to amend the soil with plenty of compost and manure to create a rich growing medium for you plants to take hold! Wow – this is great information! I’ve always taken a casual researched approach – where I have a general idea of what I’d like and then go see what’s available at the garden centre. I usually plant from bought seedlings because I don’t have the space to start from seed indoors. I adore gardening (and cooking from a backyard garden!) so I hope to see more writing from you about it! I have to agree with everyone above, such a comprehensive post. We added a new garden bed last year and as you’ve suggested prepared it in the fall… but I’m afraid we’ll have to choose shade loving plants for this one. So much amazing information! We are planning on starting a vegetable garden in our new home’s backyard and this post has already helped so very much. We’ll definitely be using this as our guide to plan our garden! Wonderful, I’d love to hear of there are any questions that come up that may not be covered here! It’s fun to be able to grown our own vegetables and fruits! A lot of work but it worth it. You just did a very good post to make us wait for spring! Thanks! i can’t wait for spring myself! The planning is in full force for my garden! Marcus, this is such a comprehensive article! You’ve covered so many questions that someone just starting out would be asking. We have a large raised bed garden for vegetables, lots of different kinds of berries and fruit trees. I love being able to grow my own food. As a food blogger, having an extensive variety of herbs in my garden has saved me a lot of money over the years. When I need a pinch of parsley or a few sprigs of rosemary for garnish, they’re right there at my fingertips!. Pinned. Thanks Elaine! At the moment I have in grounf plots, but am planning on turning them into raised beds this year… I don’t know what I would do without my herb garden! When we moved 2 years ago, the only thing I missed was my vegetable garden. It was very small to start, but by the time we moved 5 years later, it was thriving and I had so many different veggies and a few fruits growing. Last year I had a small container garden, but I’m thinking about expanding that this year. I’m looking forward to reading more of your gardening articles for some helpful info.